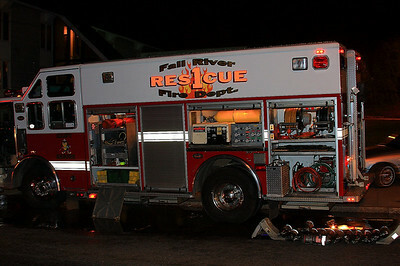 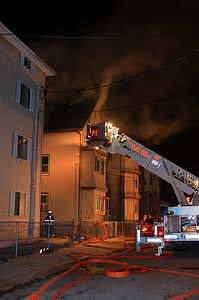 About 6 pm on December 10th, Fall River Communitions Center transmitted Box 1347 for a reported a house fire on Hood St., in the North End of the city. 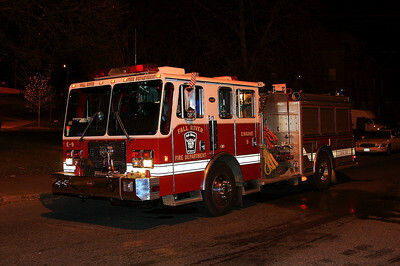 1st due Engine 12 reported heavy fire and smoke from an occupied 2 1/2 sty woodframe dwelling. 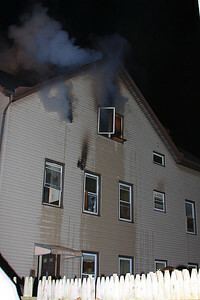 Crews encountered heavy fire on the 2nd fl extending to the top floor. 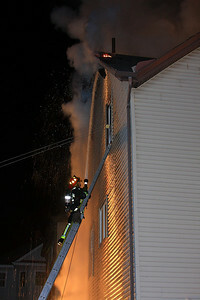 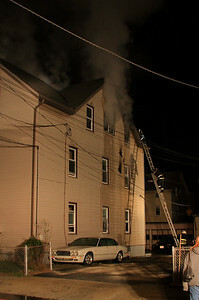 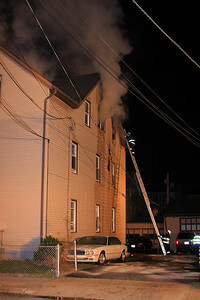 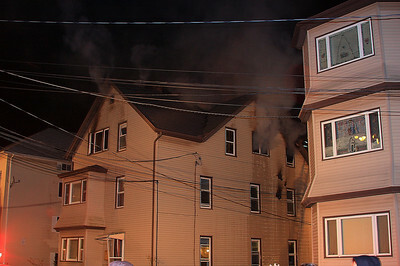 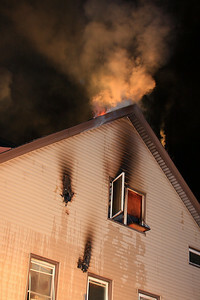 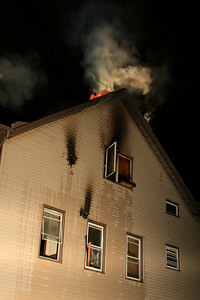 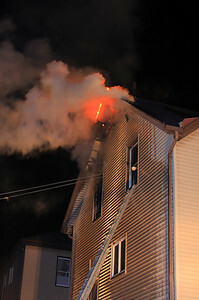 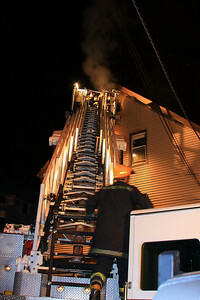 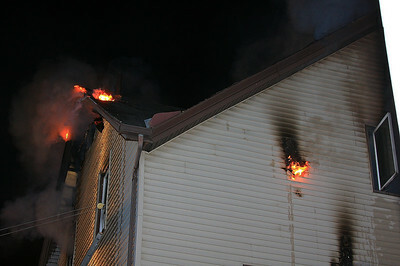 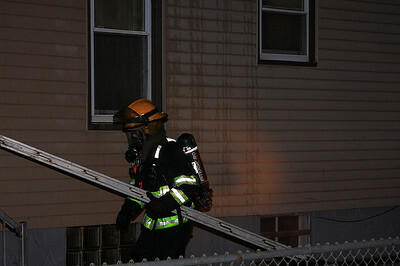 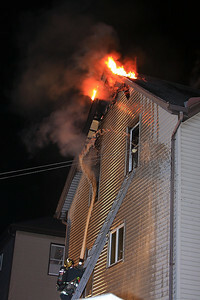 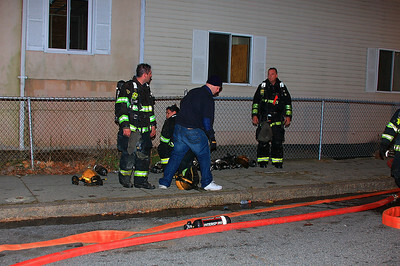 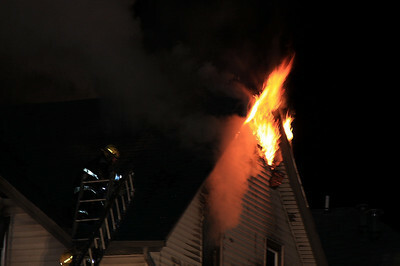 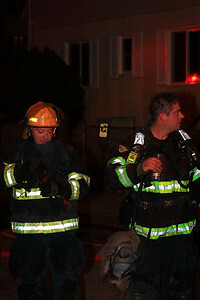 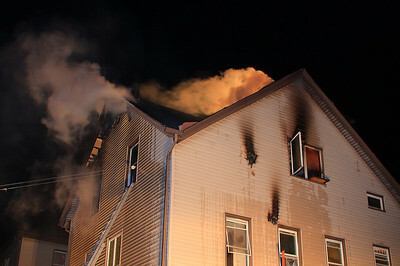 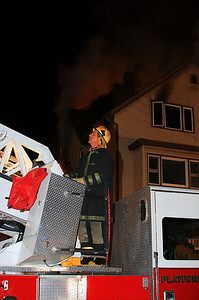 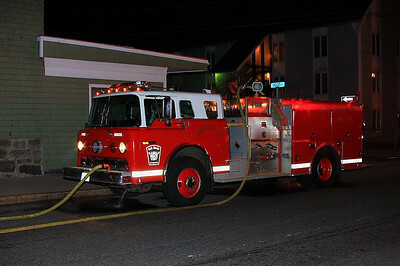 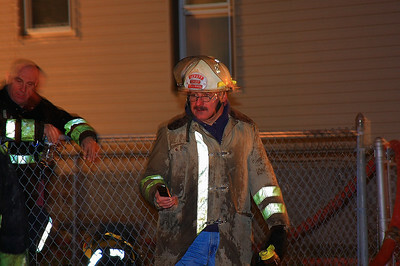 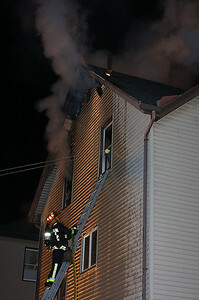 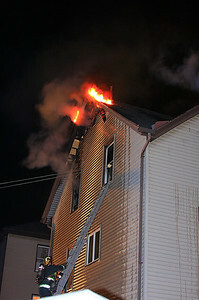 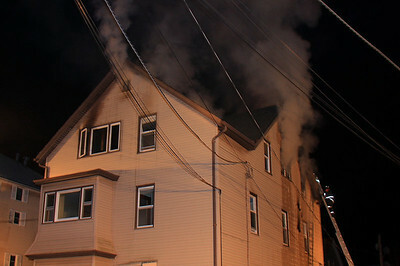 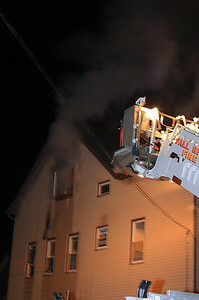 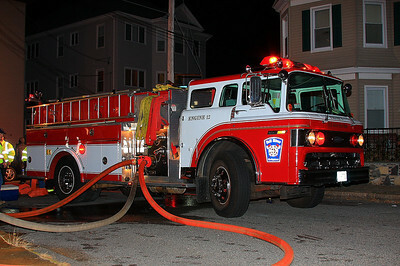 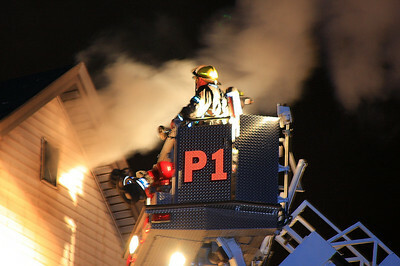 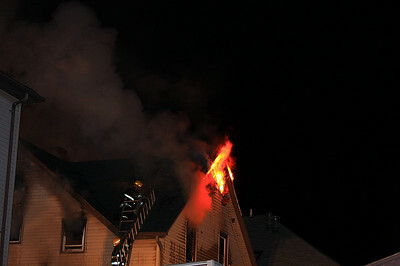 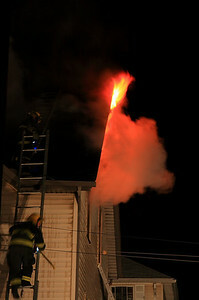 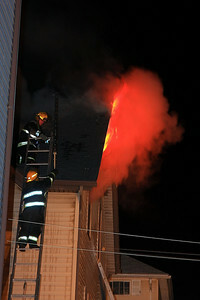 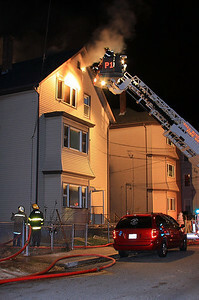 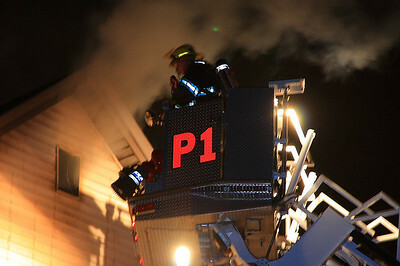 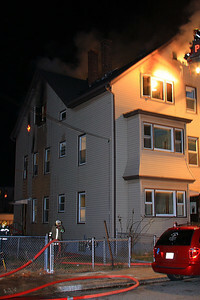 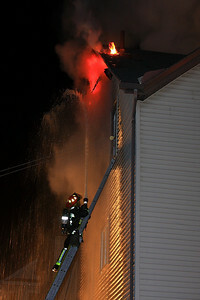 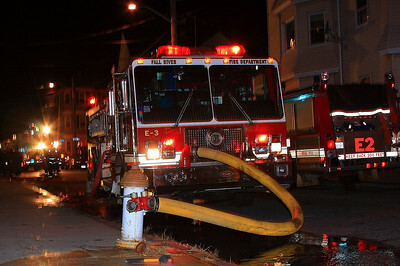 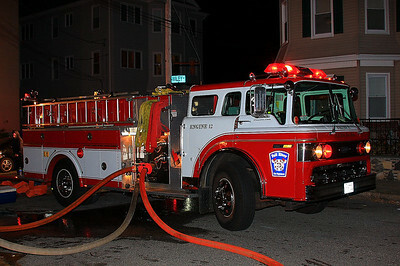 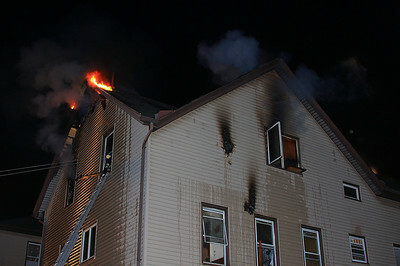 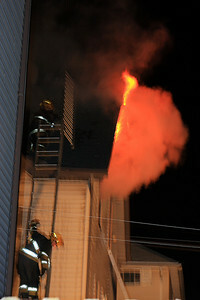 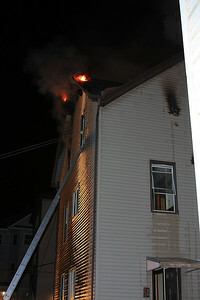 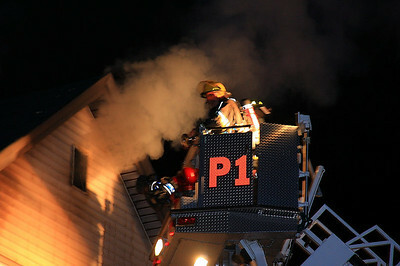 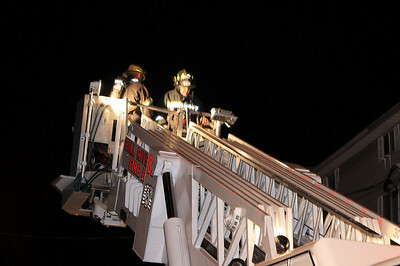 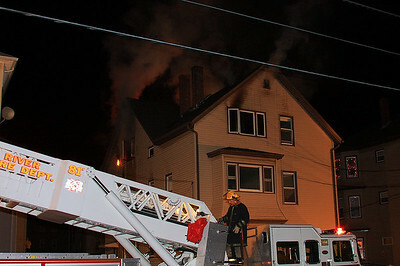 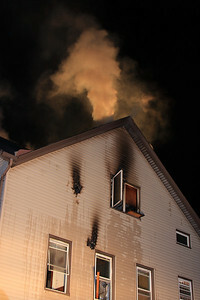 Several lines were streched and members battled for over an hour to control the blaze. 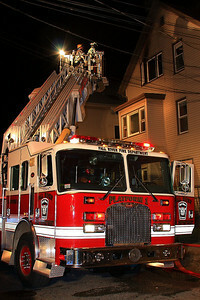 5 engines, 2 ladders and Res1cue responded.